I need to keep reminding myself of the river. 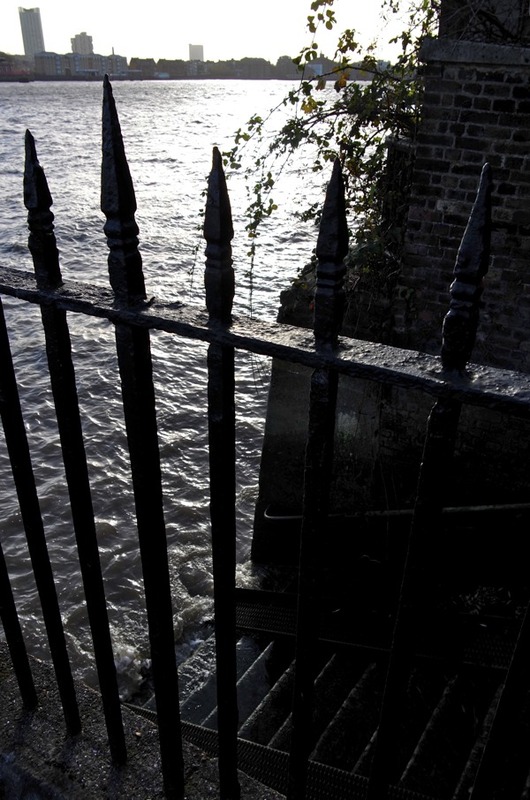 Rarely a week goes by without some purpose to go down there but, if no such reason occurs, I often take a walk simply to pay my respects to the Thames. 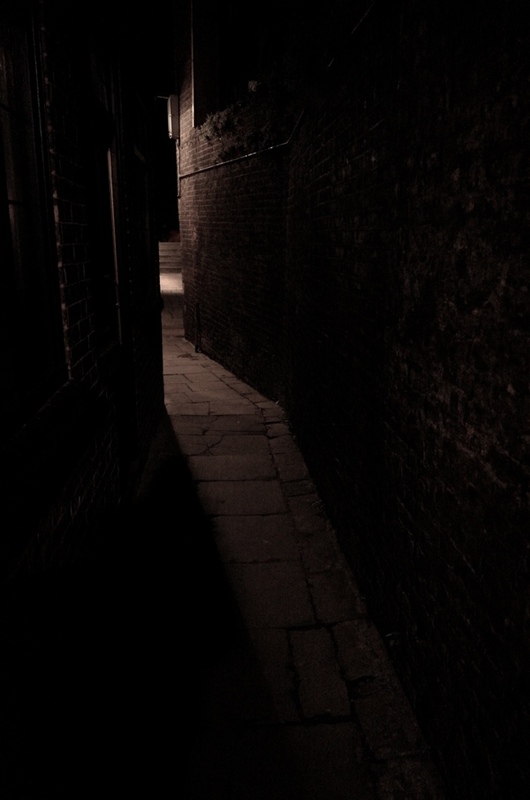 Even as you descend from the Highway into Wapping, you sense a change of atmosphere when you enter the former marshlands that remain susceptible to fog and mist on winter mornings. 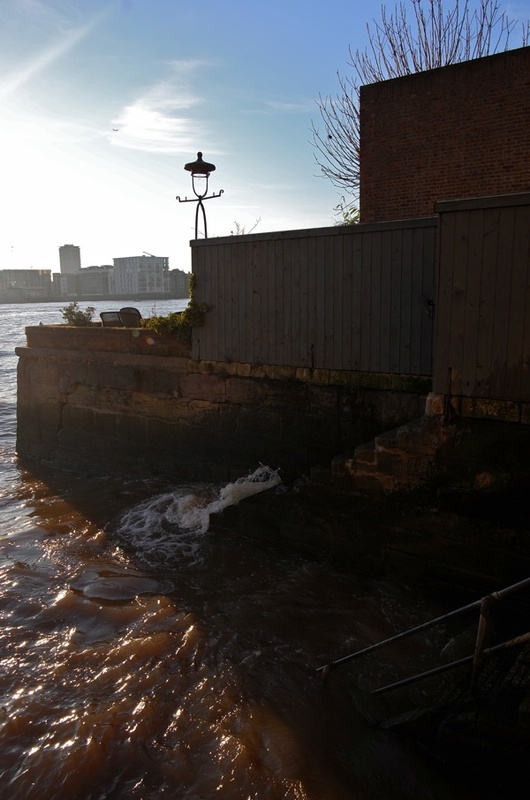 Yet the river does not declare itself at first, on account of the long wall of old warehouses that line the shore, blocking the view of the water from Wapping High St. The feeling here is like being offstage in a great theatre and walking in the shadowy wing space while the bright lights and main events take place nearby. 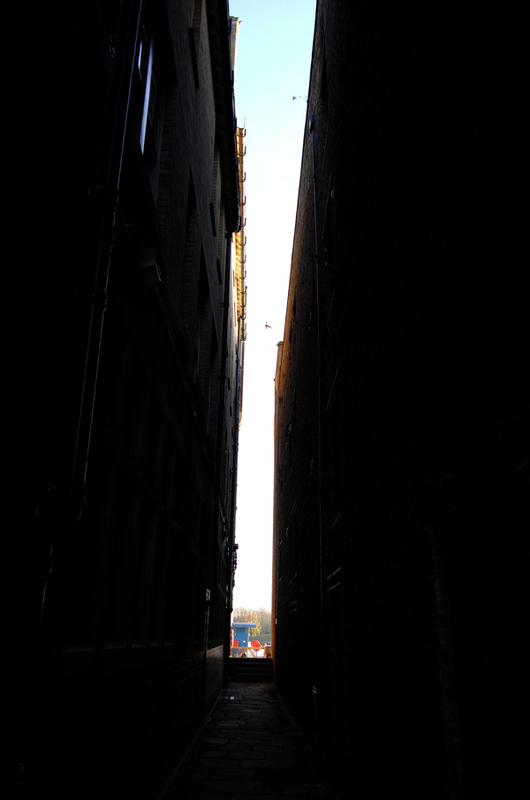 Fortunately, there are alleys leading between the tall warehouses which deliver you to the waterfront staircases where you may gaze upon the vast spectacle of the Thames, like an interloper in the backstage peeping round the scenery at the action. There is a compelling magnetism drawing you down these dark passages, without ever knowing precisely what you will find, since the water level rises and falls by seven metres every day – you may equally discover waves lapping at the foot of the stairs or you may descend onto an expansive beach. 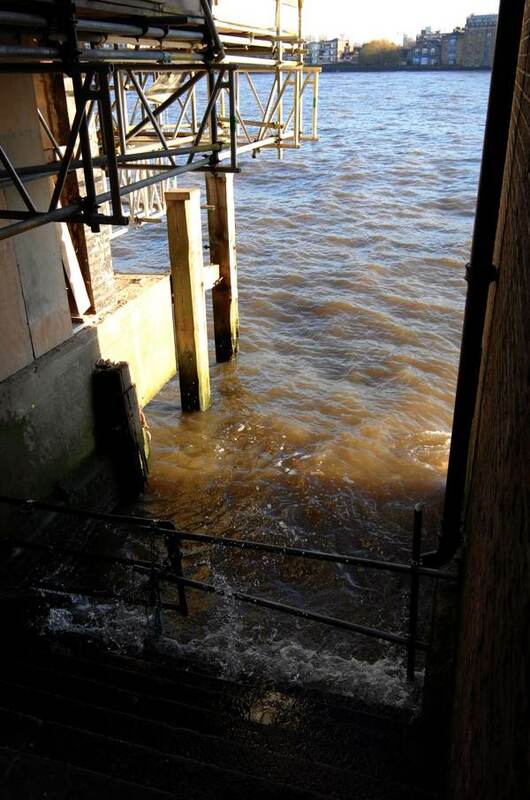 These were once Watermen’s Stairs, where passengers might get picked up or dropped off, seeking transport across or along the Thames. 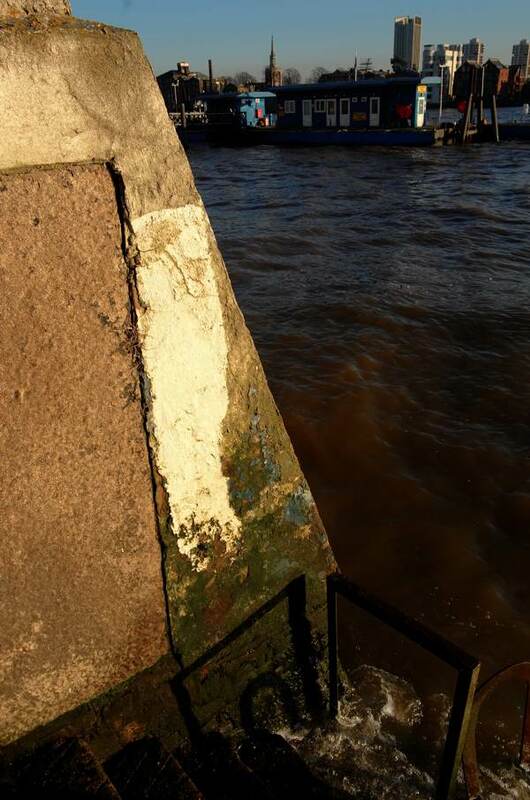 Just as taxi drivers of contemporary London learn the Knowledge, Watermen once knew the all the names and order of the hundreds of stairs that lined the banks of the Thames, of which only a handful survive today. 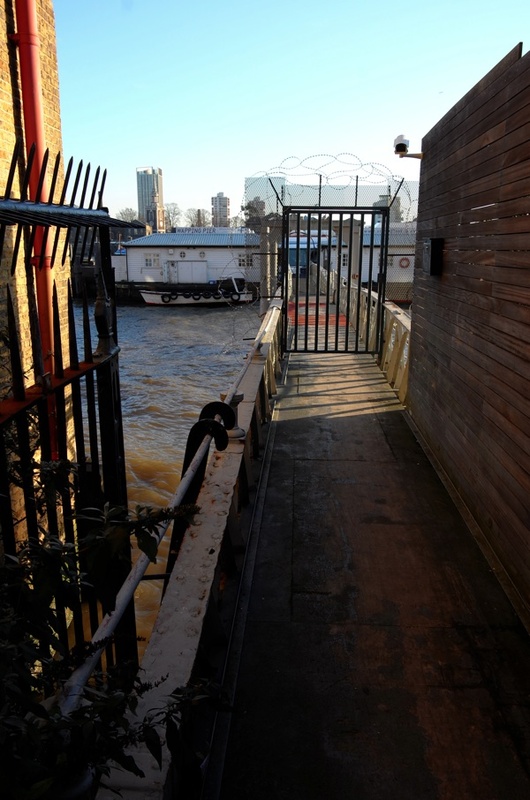 Arriving in Wapping by crossing the bridge in Old Gravel Lane, a short detour to the east would take me to Shadwell Stairs but instead I go straight to the Prospect of Whitby where a narrow passage to the right leads to Pelican Stairs. Centuries ago, the Prospect was known as the Pelican, giving its name to the stairs which have retained their name irrespective of the changing identity of the pub. 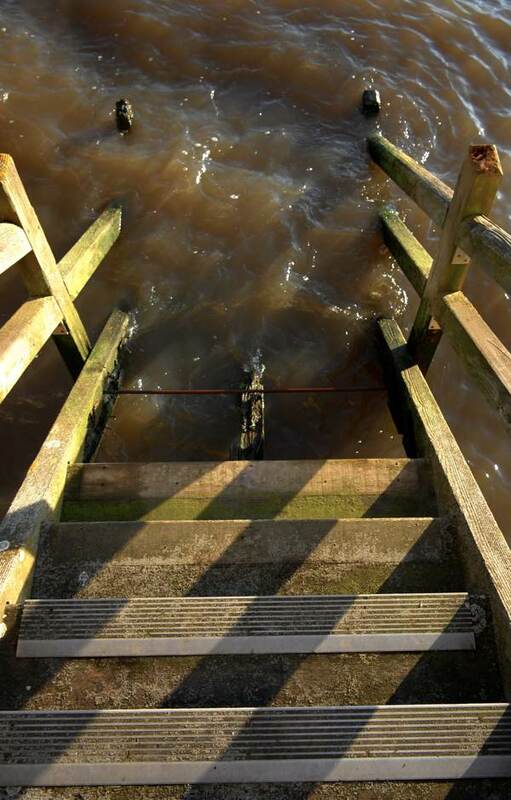 These worn stone steps connect to a slippery wooden stair leading to wide beach at low tide where you may enjoy impressive views towards the Isle of Dogs. West of here is New Crane Stairs and then, at the side of Wapping Station, another passage leads you to Wapping Dock Stairs. 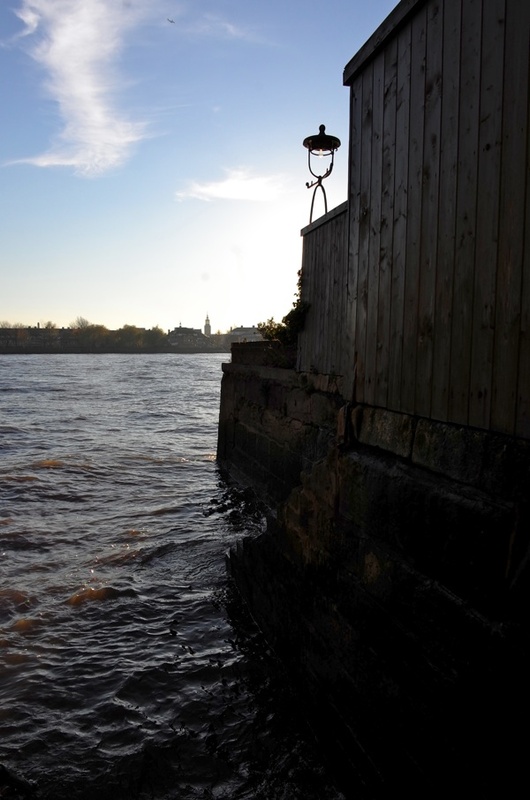 Further down the High St, opposite the entrance to Brewhouse Lane, is a passageway leading to a fiercely-guarded pier, known as King Henry’s Stairs – though John Roque’s map of 1746 labels this as the notorious Execution Dock Stairs. Continue west and round the side of the river police station, you discover Wapping Police Stairs in a strategic state of disrepair and beyond, in the park, is Wapping New Stairs. 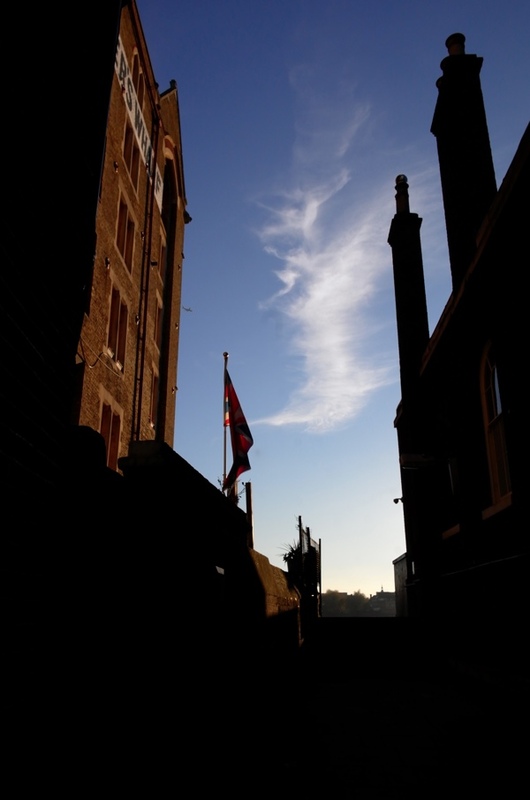 It is a curious pilgrimage, but when you visit each of these stairs you are visiting another time – when these were the main entry and exit points into Wapping. 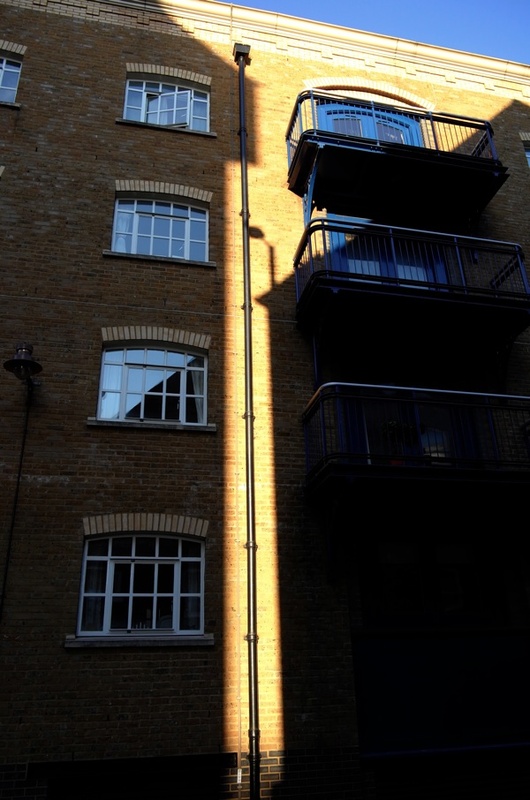 The highlight is undoubtedly Wapping Old Stairs with its magnificently weathered stone staircase abutting the Town of Ramsgate and offering magnificent views to Tower Bridge from the beach. 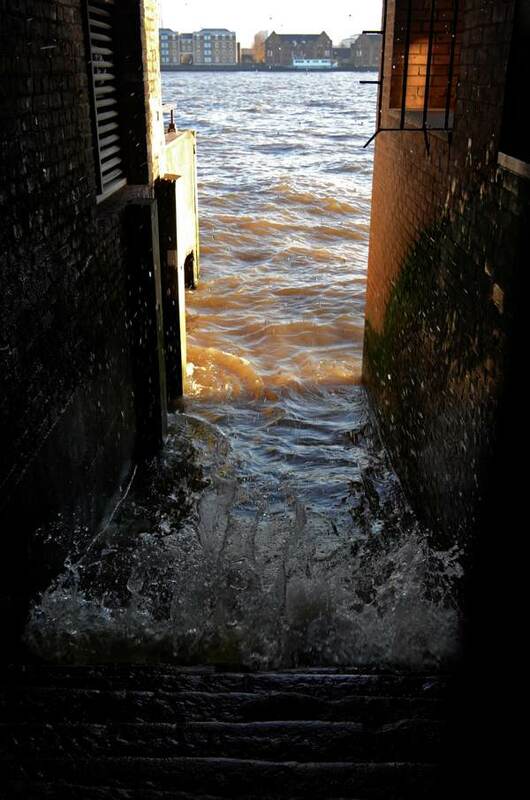 If you are walking further towards the Tower, Aldermans’ Stairs is worth venturing at low tide when a fragment of ancient stone causeway is revealed, permitting passengers to embark and disembark from vessels without wading through Thames mud. 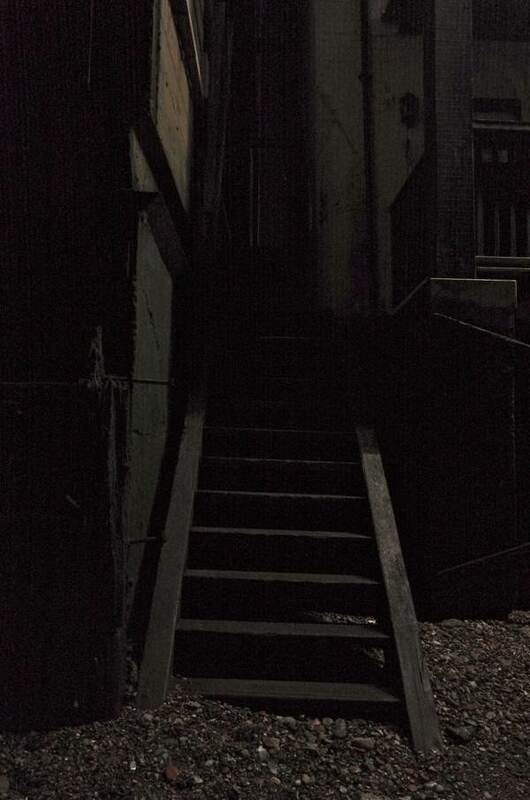 Metropolitan Police Service Warning: These stairs are unsafe! I completely agree with the sentiment of this, only last Wednesday I spent the day walking the area around Limehouse and Millwall looking for any remains of street’s and buildings where my grandparents wer born and lived and once on the riverside I found myself reluctant to stray away from the vast expance of water that form’s the Thames, it is true that the atmosphere along the river feels very different from that of the rest of London, strangely, as I walked even when I was passing area’s of moden development the physical presence of the river was enough to dominate the surroundings and generate a tremendous sense of history and connection to London’s past, in fact even in these days of rapid change a walk along the riverside will still uncover a surprising wealth of evidence of the importance of the Thames to London’s historical past as captured beautifully in the wonderfully atmospheric photos shown hear, I myself on my walk came across just such an example as I made my way around the Cubit Town area of the Isle of Dogs when I arrived at the site of the launching slipway for the Great Eastern Ship, the last project of the great engineer Isambard Brunel the site of which is still in a remarkable state of preservation and fully accessible to the public, the Thames is and always has been such an integral and important part of London and anyone who truly wants to be part of the City should always make a regular pilgrimage to the waterside in order to pay your respects to it. 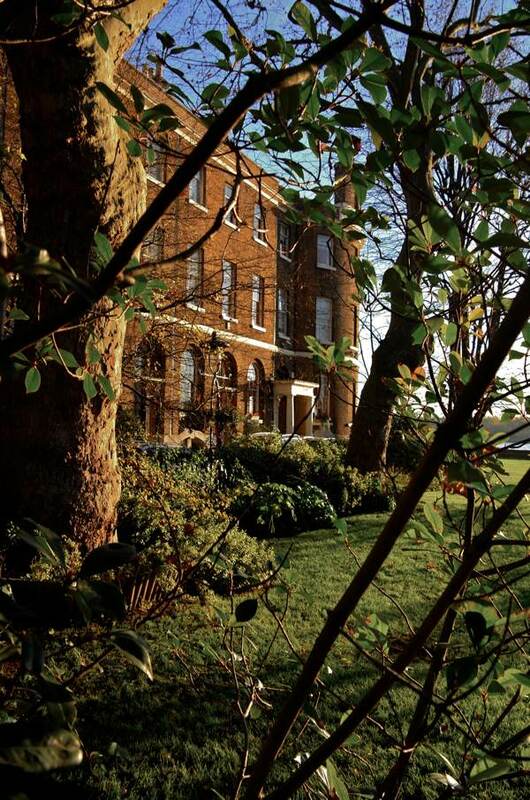 Fascinating : Being an avid reader of London History, Historical Novels, and Samuel Pepy’s, where these stairs are frequently refered to, I have often tried to visualize what these stairs are like. So it is wonderful to see them all here in your collection. Thank you and may they remain as part of Londons important Historical Past. Was there recently. Fabulous! Love these photos. One of your best and most evocative pieces of writing, accompanied by photos which equal the prose. ‘Homesickness’ is not just thinking fondly about from whence you came, it is often a brutally physical ache in the bones. I sometimes wonder how one can be so wistful for a life one might not necessarily have lived. Good morning and thanks again for your beautiful photographs of dear old London..I miss it so much but so enjoy sipping my morning cuppa and reminising.. There is so much of my family history connected with the River Thames that I always find it very evocative to see lovely photos like these. Thank you once again. As a registered mudlark, I was on the wapping foreshore this morning, and saw your post as I emerged onto dry land. Today I found an c18th thimble, and recently a 1666 trade token, and a 1566 sliver sixpence – with Elizabeth I profile nicely visible. I became a lark after strolling on the foreshore, and finding an c18th toy cannon. The twice daily tide never ceases to amaze me, with the treasures it reveals. A relaxing adventure into serendipity. And a link to the city’s amazingly rich past. I would be very happy to share the photos of my finds with you. And thank you for yours. Maybe the pictured stairs are still open to the public, but not all are, and that is a shame. The authorities should require that all the locked gates be unlocked or removed so there is access to all of these interesting places. 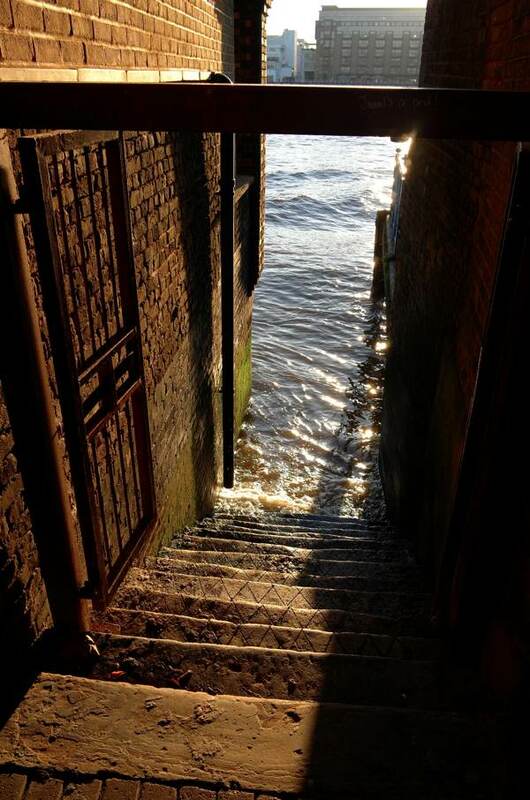 Like the Black Cabbie’s Knowledge, during their 7-year apprenticeships (as of 1603 and still to this day) would-be watermen of the 17-19th centuries had to remember innumerable Stairs, safe places to pick up people from the shore — as the causeways could of course only be used at low tide — or to pick them up out of the water if and when they’d fallen in…after too long in the ‘watering holes’ next door! But standing on what are the foundation stones of London’s earliest public transport network, with the Thames lapping at my feet 400 years on, I can’t help remembering the most recent history of these hard won gaps in the private ownership of the riverfront, then as now, and smile at their very survival and that of the ‘fair use’ rights their represent, so many Stairs having been lost to development in the 1980′s and so too the public access to the river that went with them. This makes me want to get on the next ferry to the UK. Wonderful local story. Thank you for sharing! 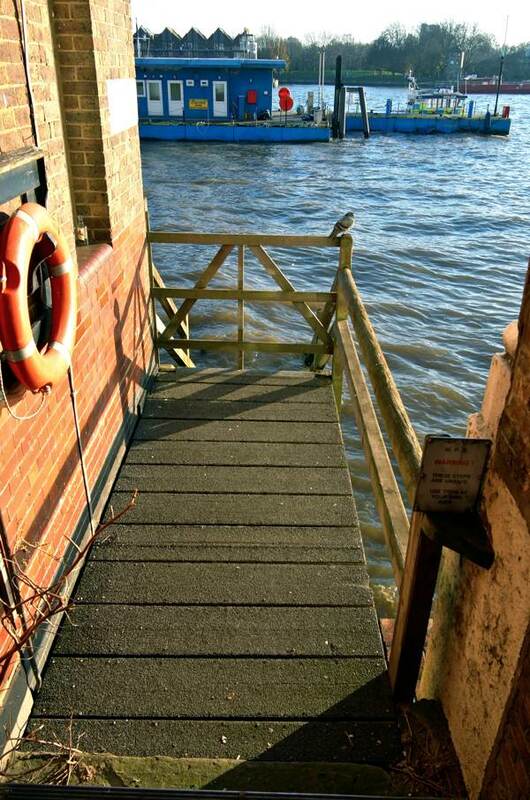 I grew up 100 yards from the Thames. 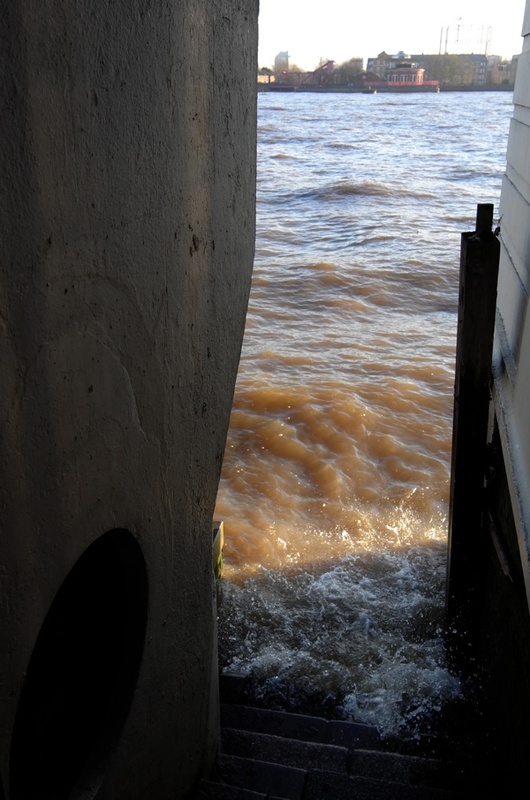 At the end of my street was an inlet where barges were moored and unloaded. This was called Newcastle Draw Dock, directly opposite the old Greenwich power station. The pub at that end of the street was once called The Newcastle Arms but later became the (in)famous Waterman’s Arms and is now called The Great Eastern. As children we played there for hours, some kids even swam in the filthy water, climbing the barges to dive off, but not me. When the tide was out we could play on the gravel “beach”. The gravel led to the more familiar grey mud after a few yards and you had to be careful because the mud was quite deep in places. Some kids believed it be to deep enough to swallow you up, never to be seen again! We would descend the various steps whenever we found them, looking for hidden treasure on the shore. Old clay pipes and coins were always to be found. I remember the smell of the river, even now. A curious blend of aromas that is impossible to describe, but anyone who has smelt it knows what I mean. No other river smells like the Thames. I am constantly drawn back to the river, its pull is powerful and often walk along the embankments in the evening, watching the Thames winding through London, swirling beneath the bridges and glittering from the reflected lights of the City – this truly is one of the most beautiful sights on Earth. Thank you for your magical description and photos. As an American with English roots, not to mention an author and certified history geek, I revel in such nostalgic and vivid prose about England. Reading such vivid and moving posts like yours instills in me a kind of longing–even homesickness–for a place I have not yet visited, but hope to do so in the near future. When I do, I will be sure to add this to my list of places I must see. 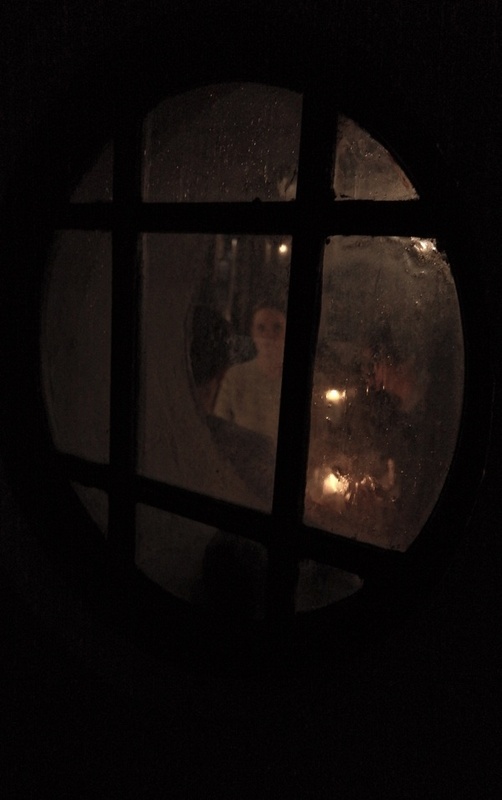 Great blog, great photos, thank you. John Seller, the Wapping instrument and mapmaker had in 1672 his shop located near the “Hermitage stairs”.If comparing John Roque’s map from 1746 with Google maps it could look as if the Hermitage stairs was located exactly under the gangway now leading to the Hermitage community moorings.Seller sold magnetic and azimuth compasses to the Navy, observed in 1666 the variation of the compass-needle “at the Hermitage near London, with a Quadrant of 6 Foot Radius for the Altitude, and an Instrument of 2 Foot Radius for the Azimuth”, corresponded with the Royal Society and narrowly avoided to be drawn and quartered after a sentence of high treason accused of conspiracy against the King.This was no obstacle for him to later becoming “Hydrographer to the King”.